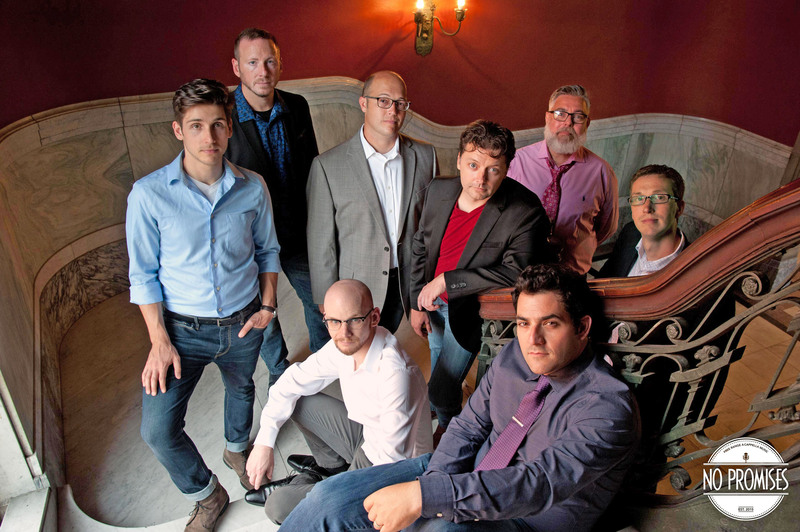 No Promises, a premier Midwest men’s a cappella vocal band makes their Finger Lakes debut at the historic Morgan Opera House. No Promises, a professional a cappella ensemble, brings their exhilarating vocals, breathtaking harmonizations and innovative arrangements to popular favorites of jazz, Motown and adult contemporary music. Enjoy an evening of fresh, innovative arrangements from every era, including selections by The Manhattan Transfer, Stevie Wonder, Billy Joel, Alicia Keys and even Taylor Swift. In a near encore of her memorable 2017 “Road Trip” cabaret, Aurora native, Leslie Goddard, takes the stage with husband, No Promises singer and fellow Broadway veteran David Baum. Hailing from across Ohio and Kentucky, the men of No Promises are Broadway veterans, theater managers, hair stylists and dads, with a passion for fine a cappella singing. Joining No Promises for the Aurora performance is rising opera artist Schyler Vargas, who appears on an off-night from the Glimmerglass Opera Festival in Cooperstown, NY. A graduate opera student at the University of Cincinnati College-Conservatory of Music, Schyler joins fellow guest artist Noah Berry, a professional actor and musician on break between national tours of THE BUDDY HOLLY STORY and SPAMALOT.